This is the second meal I made with my sorrel pesto (for the sauce, see Striped Bass with Sorrel Pesto). 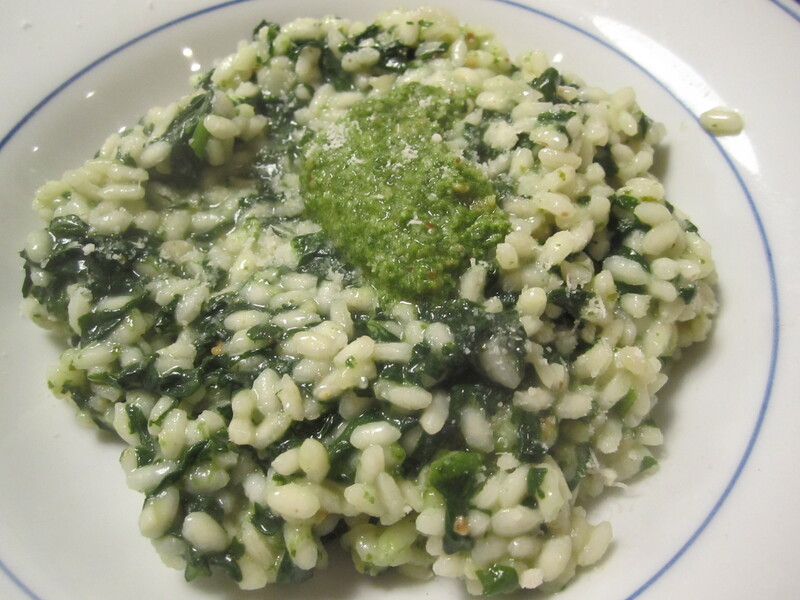 In addition to the pesto, I had some sauteed spinach left from the other evening’s meal. It had been sauteed in butter with a touch of nutmeg and would be delicious in a buttery risotto. The sorrel pesto brightens and freshens the whole dish. 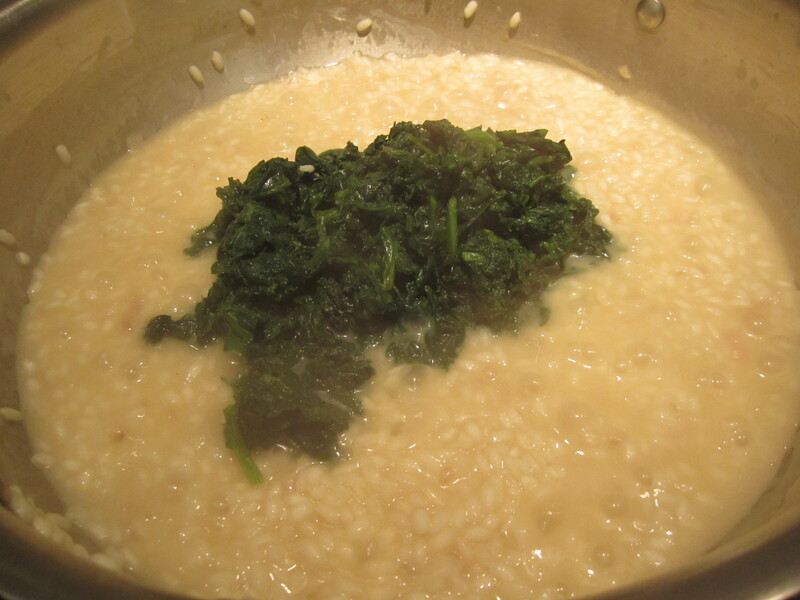 Simply stir a couple of tablespoons into the risotto at the end, and add a dollop onto each portion as well. The sorrel pesto oxidizes and browns like basil pesto, so it’s best to spoon it on and serve immediately. 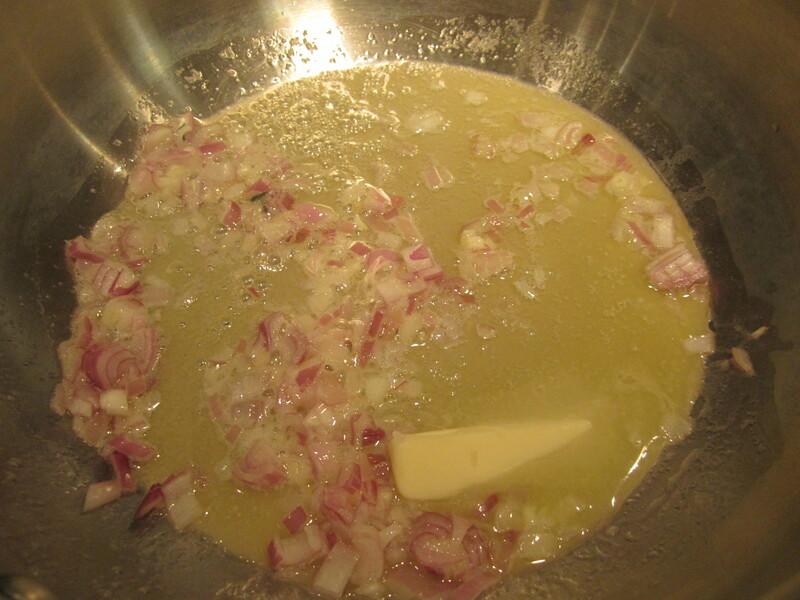 For tonight’s risotto, I’ve begun with two shallots and 3 tablespoons butter, sauteed on low heat until the shallots begin to wilt and caramelize. Add 1/2 cup white wine, and reduce for a minute. 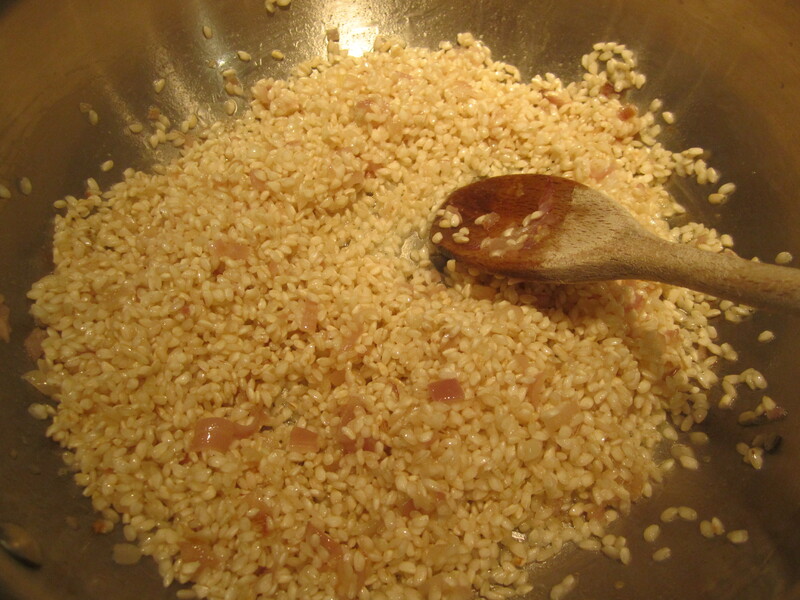 Add 2 cups arborio rice (for four persons) and saute for about 5 minutes. Add 1/2 cup white wine and reduce for a minute. Set kitchen timer to 12 minutes, then, on medium-high begin adding simmering broth 1/2 cup at a time and stirring constantly. When 12 minutes, have passed, fold in the spinach, cover and let rest for 5 minutes. Uncover and add a bit more broth, plus 3 – 4 tablespoons sorrel pesto, 1/4 cup grated parmigiano. Serve with an additional teaspoon of pesto on each individual serving. 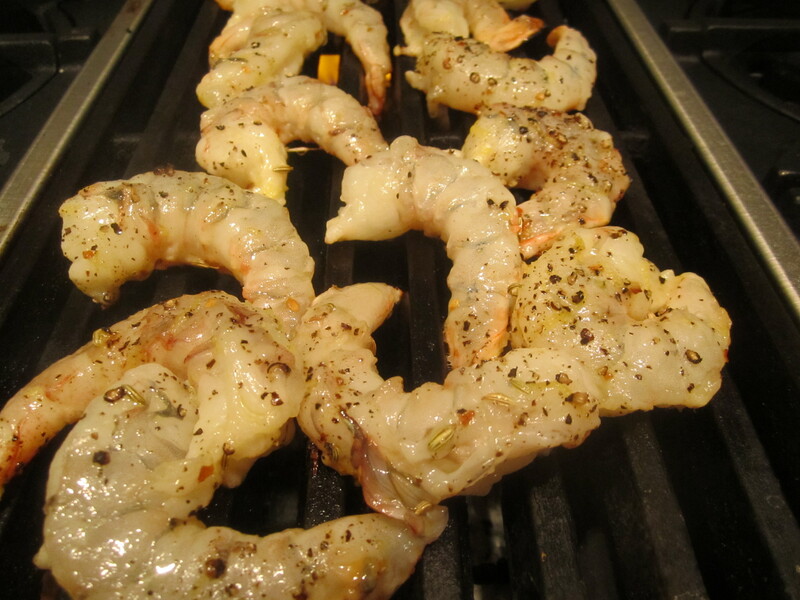 Tonight, as a main course, we had grilled shrimp, rubbed with chili flakes, lemon zest and fennel seeds. 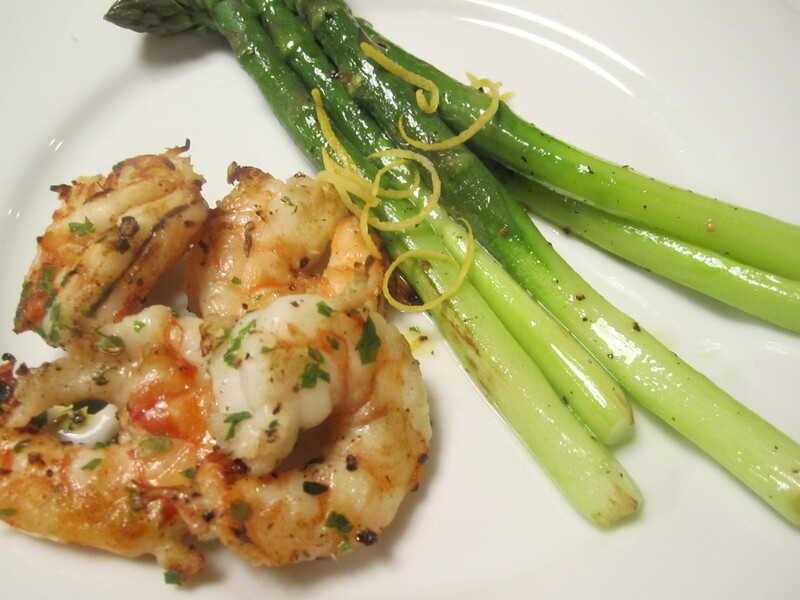 Along with sweet, tender asparagus, this was a delicate and fresh spring meal.